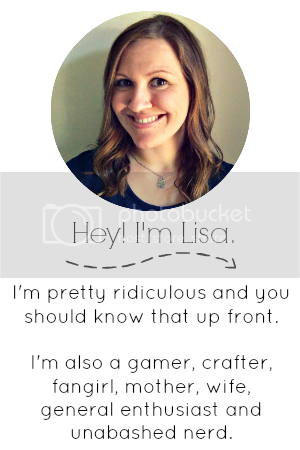 Lisa is Busy Nerding: Top Ten Tuesday : HEY, SANTA! 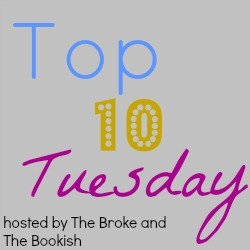 Top Ten Tuesday is a meme hosted by the lovelies over at The Broke and The Bookish. 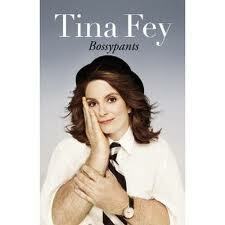 Top Ten Books I wouldn't mind Santa bringing me. Limit myself to ten? REALLY?! But with some adjustments, of course. 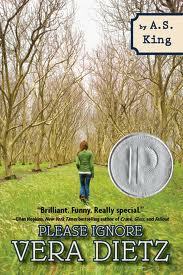 First, the top five books I've read and loved that I do not own. Le sob. And now, for the top five books I want to read for the first time and fall in looooove with! Do you want Santa to bring you any of these books too? DO SHARE! I really want Sloppy Firsts as well. Santa needs to help some girls out. :) Also you soooo need to read Soulless. Gail always makes me giggle in a good way. Love her! Yes he does! When I start SF, I'll let you know! 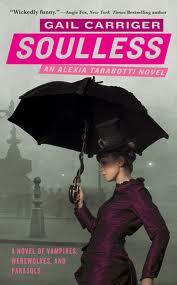 I have heard SUCH good things about Soulless and it seems like such a ME book. When Santa shows up with Frankie, I think you and I need to read that together. It's been sitting on my shelf & needs to be read! I haven't read the Jessica Darling series either, so you are totally not alone! I really need to get my hands on that first book. WOW...so many books I want to read as well, and even though they did not make my Top Ten - 'The Unbecoming of Mara Dyer', 'The Disreputable History of Frankie Landau Banks' and 'Soulless'- I still want them! Great list! Seriously, limiting to ten was HARD! 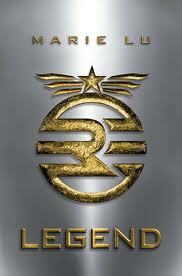 I want Legend too since I loved it and think I'd read it again! I JUST donated my ARC, otherwise I would have sent it your way! I mean of course I know you want a finished copy but still. Ooooo, I really enjoyed The Lightning Thief, but if you have seen the movie you have to be prepared for how completely different the two are. And I don't mean just a little different. It is almost like the movie is loosely based on the idea of the book. But the book is very enjoyable. I thought about adding Legend to mine, but there just wasn't room! I haven't watched the movie, and I don't plan to. I hear it's just not good. 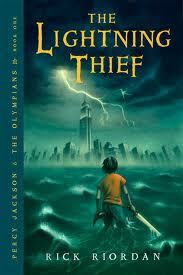 And Percy Jackson is SO GOOD that I don't want it ruined in any way, shape, or form. I *want* to love Soulless, I do! But I didn't...it's the writing style that gets me. I loved the plot, I loved the characters, but I had to force myself to read it. If you like victorian style novels, you will LOVE IT, and that's why I didn't--I'm not a fan of victorian style novels. I'm glad I'm not alone with the Shade series! ONE DAY! OOhhhh great choices! 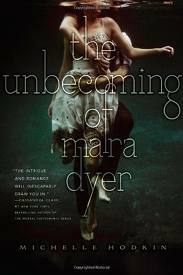 I just picked up the first Jessica Darling at the used bookstore and I can't wait to read Mara Dyer and Frankie Landau-Banks!!! Thank you! I wish I had a used bookstore around here. Although I'm sure my husband is glad I don't! HA! I NEED Mara 2 in my life! I think all but 2 of your books are on my GR wish list. Here's hoping we were good enough to get a few of our wishes. I'd love to have a copy of Mara Dyer too. I've never read the Shade series either. Great list. You don't own Percy!? That IS le sob! I want to buy ALL OF THESE books for you. Especially Legend. And Percy. 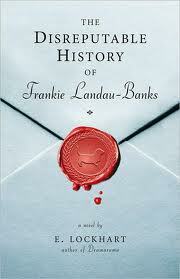 And FRANKIE LANDAU-BANKS. And I'm totally with you on needing to read Shade. I even bought the paperback a while ago to do as a Rewind and Review, but alas. Still haven't read it. SOON. I'm wishing so hard for the Percy box set for Christmas, you don't even know. Every time I go "you HAVE to read them!" to my brother he just goes "do you own them?" and then I get all sad inside.